Bitcart, an Ireland-based discount gift card platform, has launched a QR code and NFC integrated wristband to allow festival and bar goers to pay for food and drinks using Dash. Users of the platform, called Festy, do not need a wallet, cell phone or credit card to pay with Dash. Festy links directly to the user’s Dash account, meaning funds are not stored on the Festy platform. Transactions occur within seconds, while the merchants can cash out their Dash for the equivalent fiat currency. 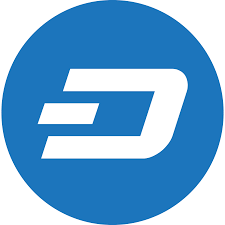 Dash, the sixth highest valued cryptocurrency with more than $1.3 billion in market capitalization, claims to be the leading digital currency for payments. Dash’s InstantSend technology allows users to make instant payments. In the next update, Dash will be able to process 500,000 transactions with fees of about 10 cents per transaction. With no private keys or card numbers displayed while making purchases, Festy ensures privacy, allows users to top-up their wristbands at branded ATMs, and make simple transfers online. Festy’s multi-functional wristband is compatible with every point-of-sale system where Visa contactless is accepted, as well as any mobile phone or computer with NFC tags and offline payments using QR codes. Festivals currently face an extensive cash flow issue. Standard ATMs usually charge $3 to $5 per withdrawal at festivals, as middlemen supplying the machine require compensation. In addition, users can wait in line for up to two hours to withdraw money at large festivals. Festy ensures that a user’s money stays secure and helps create steady cash flows between the merchant and the consumer. The prototype will be ready for a full public rollout at the end of the third quarter.